Canadian marijuana producer Canopy Growth announced on Thursday that it was acquiring cannabis cultivation company Acreage Holdings in a $3.4 billion deal. The ETFMG Alternative Harvest ETF (NYSEArca: MJ) was relatively staid, remaining unchanged in its share price as of 10:45 a.m. ET. The deal gives Canopy Growth the right to purchase all of Acreage’s stock after cannabis is legalized in the U.S. In the interim, both companies will operate independently. Canopy Growth is MJ’s third largest holding as of April 18 with a weighting of about 7 percent. The deal is another win for the cannabis industry, but though a number of states have already given marijuana use the thumbs up for recreational or medical use, depending on the state, it is still prohibited by federal law. The Food and Drug Administration, in particular, prohibits the use of cannabis in consumer items like food and drinks. Despite cannabis movers and shakers making these deals as of late, the challenge remains, however, with listing on exchanges. Some exchanges prohibit the listing of companies that engage in business activities they deem questionable. “It is interesting that they are limiting it to legalization, rather than completing the acquisition when TSX and Nasdaq are prepared to allow the listing,” he added. MJ has been a top performer thus far in 2019 with a return of 46.30 percent. Elliot Johnson has heard countless stories of cannabis investors who bought into Canadian companies such as Canopy Growth Corp. early on and rode the green rush to staggering returns. Since the Trudeau government first tabled a bill to legalize recreational cannabis in April 2017, Canopy’s share price has skyrocketed, earning patient investors, who held on through two years of volatility, more than 470 per cent in returns. Similar returns were available in other companies such as Tilray Inc. and Aurora Cannabis Inc.
Those who missed out in Canada may have another chance now in the U.S., said Johnson, a portfolio manager at Evolve ETFs. Johnson manages the Evolve U.S. Marijuana ETF, which became the world’s first U.S.-focused cannabis ETF when it began trading on Wednesday. The ETF is compromised of 38 companies to begin and no single name will have more than a 10 per cent weight, Johnson said. The ETF will charge 0.75 per cent in management fees and an additional 0.25 per cent in fixed administration fees. Evolve may only have the space to itself for a day however: Horizons ETFs will also be entering the market through the Horizons U.S. Marijuana Index ETF, which is scheduled for a Thursday launch. “The Canadian growth story is going to be viewed in the fullness of time as being less exciting than the U.S. story,” Johnson said. The appeal to investors should come from the simple fact that the U.S. market is the largest in the world, Johnson noted, even without cannabis being legal at a federal level. The drug is only available recreationally in 10 states and medicinally in 33, meaning that future legislation, both at a state and federal level, may continue to act as a catalyst to the stocks, Johnson said. Proposed federal legislation in the form of the Secure And Fair Enforcement Banking Act could also finally open the door for American institutional investors to pump millions into U.S.-based cannabis companies. The market is waiting on legislation to allow companies to be able to list on domestic stock exchanges instead of having to do so in Canada, predominantly on a junior stock exchange in the CSE. Clearing both hurdles would unlock significant latent value, he said. While Canadian cannabis companies are already trading at their highest valuation, he said, most U.S. names are undervalued due to legal uncertainty. Johnson sees this potential for at least three names in his portfolio — Curaleaf Holdings Inc., Harvest Health & Recreation Inc. and Slang Worldwide Inc.
Curaleaf has one of the top weights at 5.6 per cent. The reason it’s one of Johnson’s top picks is because the company’s management is focused on a goal of building a single, powerful brand. That’s a key trait that Johnson watches for because he believes it’s a company’s agricultural operations that are most likely to be commoditized and setting up a strong brand is therefore the key to long-term success. Curaleaf, which closed Wednesday at $13.35, is already up more than 90 per cent in 2019 and was recently labelled as the U.S. cannabis industry leader by GMP Securities. Harvest is taking the opposite approach, establishing over 20 different brands, but its strong appetite for growth — and the manner in which it has accomplished it — has been enough to convince Johnson. The company, which also has a 5.6 per cent weight in Evolve’s ETF, has multiple locations in eight states and operates in 17 when both its recreational and medicinal sales are taken into account. Each time Harvest expands into a new state, Johnson likens it to them launching a startup. “One of the things they’ve been very successful in doing is going into the states as they’ve legalized, applying for and winning the licenses to operate in those states and then booting up from ground zero in each state,” he said. Harvest, which saw its stock close Wednesday at $11.70, is up more than 65 per cent since the beginning of the year. One of Johnson’s riskier selections is Slang Worldwide Inc., which only has a 1.5 per cent weight in his portfolio. Slang is the smallest company of the three and only has a $520 million market cap, but because it’s so diversified in its products — vapes, edibles and dry flower for smoking — Johnson sees real potential for the company to grow from an unknown entity to a domestic force. “This market in particular is characterized by these names that come out of nowhere to capture the public attention,” he said. On Wednesday, Slang closed at $2.54. Livingston Group Asset Management CO operating as Southport Capital Management grew its stake in shares of Invesco QQQ Trust (NASDAQ:QQQ) by 49.0% during the 1st quarter, according to its most recent 13F filing with the SEC. The institutional investor owned 8,918 shares of the exchange traded fund’s stock after purchasing an additional 2,933 shares during the period. Livingston Group Asset Management CO operating as Southport Capital Management’s holdings in Invesco QQQ Trust were worth $1,602,000 at the end of the most recent reporting period. Other hedge funds and other institutional investors also recently modified their holdings of the company. Alliancebernstein L.P. raised its stake in Invesco QQQ Trust by 74.1% in the 3rd quarter. Alliancebernstein L.P. now owns 5,501 shares of the exchange traded fund’s stock valued at $1,022,000 after purchasing an additional 2,341 shares during the last quarter. Bank of New York Mellon Corp raised its stake in Invesco QQQ Trust by 1.0% in the 3rd quarter. Bank of New York Mellon Corp now owns 114,479 shares of the exchange traded fund’s stock valued at $21,270,000 after purchasing an additional 1,154 shares during the last quarter. Great Lakes Advisors LLC acquired a new position in Invesco QQQ Trust in the 3rd quarter valued at about $752,000. AQR Capital Management LLC raised its stake in Invesco QQQ Trust by 21.2% in the 3rd quarter. AQR Capital Management LLC now owns 142,377 shares of the exchange traded fund’s stock valued at $18,459,000 after purchasing an additional 24,940 shares during the last quarter. Finally, Beaton Management Co. Inc. raised its stake in Invesco QQQ Trust by 8.1% in the 3rd quarter. Beaton Management Co. Inc. now owns 6,352 shares of the exchange traded fund’s stock valued at $1,180,000 after purchasing an additional 475 shares during the last quarter. Institutional investors own 47.22% of the company’s stock. Shares of QQQ stock opened at $187.15 on Thursday. Invesco QQQ Trust has a twelve month low of $143.46 and a twelve month high of $187.93. The company also recently announced a quarterly dividend, which will be paid on Tuesday, April 30th. Investors of record on Tuesday, March 19th will be paid a $0.3242 dividend. This represents a $1.30 annualized dividend and a yield of 0.69%. The ex-dividend date of this dividend is Monday, March 18th. ILLEGAL ACTIVITY NOTICE: This report was first posted by Modern Readers and is the property of of Modern Readers. If you are accessing this report on another publication, it was stolen and reposted in violation of U.S. & international copyright laws. The correct version of this report can be read at https://www.modernreaders.com/news/2019/04/18/invesco-qqq-trust-qqq-shares-bought-by-livingston-group-asset-management-co-operating-as-southport-capital-management.html. Receive News & Ratings for Invesco QQQ Trust Daily – Enter your email address below to receive a concise daily summary of the latest news and analysts’ ratings for Invesco QQQ Trust and related companies with MarketBeat.com’s FREE daily email newsletter. The country’s main stock exchange, formerly called the Kuala Lumpur Stock Exchange, became the Bursa Malaysia Exchange in 2004. With access to 120 markets, 31 countries, and 23 currencies, Interactive Brokers allows you to earn, borrow, spend and invest with one account. Known as the crossroads of trade between the East and the West, Malaysia’s expanding economy and educated population make it a relatively favorable environment for foreign and domestic investment. Malaysia’s strong financial sector offers ample opportunities for trading and investing in local stocks. In order to operate in the Malaysian stock market, you need to pick a competent stockbroker. Keep in mind, however, that not all brokerages are created equal, so make sure to carefully consider your needs before you open an account. The country’s main stock exchange, formerly called the Kuala Lumpur Stock Exchange, became the Bursa Malaysia Exchange in 2004. Bursa Malaysia consists of a fully integrated financial marketplace and exchange that offers a comprehensive array of financial products including stocks, derivatives, options and futures. This Malaysian exchange provides a venue for the trading, listing, clearing and settlement of equities. It is also well-known for its offshore and Islamic asset offerings, and the exchange allows you to trade exchange-traded funds (ETFs), real estate investment trusts (REITs), Sukuk and business trusts (ETBS) and exchange-traded bonds as well. Bursa Malaysia introduced Bursa Malaysia-i, the world’s first complete Shariah investment platform in September of 2016, to provide a platform for faith-based investors and to mainstream Shariah investing. The Bursa Malaysia exchange has a two-tiered market with smaller capitalized stocks of emerging companies listed on the ACE Market, while well-established large capitalization stocks trade on the main exchange. The Bursa Malaysia exchange’s main stock index is the FTSE Bursa Malaysia Kuala Lumpur Composite Index (FBM KLCI). This capitalization-weighted headline index is composed of the 30 largest companies listed on the Bursa Malaysia that meet the listing requirements for the index. The Bursa Malaysia exchange is part of a collaboration among the Association of Southeast Asian Nations (ASEAN) that includes exchanges from Indonesia, the Philippines, Singapore, Thailand and Vietnam, in addition to Malaysia. The regulating agency for the stock market and all brokers doing business in Malaysia is the Securities Commission Malaysia (SCM). It was founded in March of 1993 under the authority of the Securities Commission Act of 1993 (SCA). The agency, which is a self-funded statutory body, answers to the Malaysian Minister of Finance and has the responsibility for developing and regulating the capital markets in Malaysia. This includes overseeing people and businesses that hold licenses under Malaysia’s Capital Markets and Services Act of 2007. In order to make a stock trade on the Bursa Malaysia, you need to open a trading account with a participating organization. In addition, you have to open another account with the Central Depository System (CDS). The CDS account consists of an electronic book-entry system used to record, maintain and keep track of share ownership and stock transfers. The two accounts are then presented to a licensed broker/dealer so you can open an account to trade through. The broker can then enter orders for you on the exchange’s Automated Trading System (ATS). Remember to consider your needs as an investor or trader before you decide on a broker. Brokers doing business on the Bursa Malaysia must be registered with the SCM and have authority to operate on the Malaysia Bursa for the broker to execute trades on the exchange. Also, all financial companies, including stockbrokers, must be registered and regulated by the SCM. A broker’s online trading platform should let you enter orders and receive confirmations on your stock orders, in addition to providing access to accurate stock quotes. This trading software needs to be easy to access, use and customize. Many platforms also provide news feeds and technical analysis tools. International and Malaysian full-service brokers generally provide advisory services and research. A full-service broker makes sense for you need advice on making investments. Otherwise, you may be better off with a discount broker. Depending on your trading style, commissions could make a big difference in your bottom line, especially if you trade actively. Even if you trade infrequently, commission costs matter and discount brokers typically charge less. An online broker with a responsive customer service department is a big plus. You can access most stockbrokers in Malaysia via phone and email. Get both stockbroking and investment banking services with Hong Leong Broking. Hong Leong Investment Bank Berhad or Hong Leong Broking (HLeBroking) is our number one pick as a domestic stock broker for Bursa, Malaysia. The company is a wholly-owned subsidiary of Hong Leong Capital Berhad, which is a public company listed on the main board of Bursa Malaysia. The broker’s operations are split between stockbroking and investment banking. The stockbroking division offers retail and institutional stockbroking services, equity research, margin accounts and financing, custody services, and broking services for futures and options. HLeBroking offers all the services of a conventional stockbroker and provides customers with information to make better and faster market decisions. The firm’s investment banking division includes debt and equity funding, private debt securities (PDS) issuances, initial public offerings (IPOs), syndicated loans, mergers and acquisitions, corporate restructuring, debt and equity underwriting, takeovers and privatizations, fixed deposits and trading and distribution of fixed income instruments. HLeBroking’s web-based trading platform is also available for Android and iOS devices and features charting, real live=streaming quotes, an equity tracker and a mobile trading app. Commissions are competitive at a low minimum of 8.48 RM per transaction and 0.106% of the value of the shares traded. In addition to Bursa Malaysia shares, HLeBroking allows you to trade stocks listed on exchanges in the United States, the U.K., Singapore, Hong Kong, Shanghai, Australia and Thailand with competitive rates and real-time quotes. Customer service is available via telephone, email and fax. Trade with Malaysia’s first digital equity broker, which opened in May of 2017. Our pick for beginners is Rakuten Trade, which consists of a joint venture between Malaysia’s leading investment bank, Kenanga Investment Bank Berhad and Japanese company Rakuten Card Co., Ltd. In addition to Malaysian shares, Rakuten gives clients access to trade exchange-traded funds (ETFs), REITs, company warrants and structured warrants. Rakuten opened for business in May of 2017 to become Malaysia’s first digital equity broker. It was named FinTech Company of the Year 2018 by the Malaysian Communications and Multimedia Commission (MCMC). Rakuten’s web-based trading platform features live market feeds, execution and settlement of trades and it gives users access to research reports and investment ideas. A Japanese app called iSpeed.my is also available for mobile trading. The broker’s educational resources include a series of self-produced YouTube videos on trading and investment ideas in both Malay and English. Rakuten also offers a blog and extensive research on Malaysian shares, as well as gives clients access to extensive market analysis and research reports by its parent company, Kenanga Investment Bank. Commissions for Malaysian shares are a reasonable minimum of 7 RM per transaction and 0.106% of the value of the shares traded. Customer support is available through a form on website, email, local toll-free telephone numbers, international numbers and messaging through WhatsApp. UOB Kay Hian has over 80 offices throughout Asia. As the largest broker in Singapore and one of the largest in Asia, UOB Kay Hian makes our list of top brokers for its trading platform, a wide range of markets and competitive commissions that seem suitable for day trading and other short-term strategies. The broker’s commission is a minimum of RM 8 per trade and 0.10% of the value of securities traded. In addition to its presence in Malaysia, UOB Kay Hian has over 80 offices throughout Asia. Other products you can trade with UOB Kay Hian include foreign securities listed on Singapore, Hong Kong, New York and American stock exchanges, in addition to ETFs, futures and structured warrants. The broker’s web-based trading platform is known as UTRADE. It features a variety of trading tools including a stock screener, which searches for winning trades, ChartGenie charting software, a fundamental analysis tool called ShareXplorer and a TechAnalyzer that analyzes chat price patterns. UTRADE is available as a mobile app for Android and iOS devices. UOB Kay Hian’s award-winning research on regional stocks includes market commentaries from industry experts. The broker’s research team is composed of 50 analysts that regularly suggest stock picks. The broker offers trading seminars at its offices in Kuala Lumpur, and its customer service department can be accessed via telephone, email and through a form on its website. Trade stocks and warrants on Bursa Malaysia and other stock markets around the world with Macquarie Group Limited. 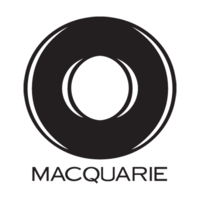 Australia-based Macquarie Group was founded in 1969 and has offices around the world, including in Kuala Lumpur. It meets all the Malaysian regulatory requirements and offers stock brokerage services, as well as asset management, corporate and asset finance, banking and financial services and trading in markets around the world. You can trade a variety of assets, including stocks and warrants on Bursa Malaysia and other stock markets around the world, in addition to equity derivatives that focus on Asian, Australian and South African markets. You can trade forex, currency options, FX forwards and swaps, fixed income securities and structured products. You can even trade agricultural, energy and metal commodity futures. Macquarie’s Electronic Execution trading software offers over 100 liquidity venues from 50 countries via its intuitive interface. The trading platform gives you 24/6 trading access starting with the New Zealand pre-market on Sunday afternoon and ending with the New York market closes on Friday afternoon EST. Customer service is available via email and telephone. The broker also has an extensive corporate research department that provides information coverage on a wide range of markets and sectors. Interactive Brokers is a popular international broker based in the United States. Interactive Brokers does not have an office in Malaysia and is not a member of its Bursa Malaysia stock exchange, so its Malaysian clients cannot trade local markets through this broker. We included it here for Malaysian traders who want access to other global markets. You can also open an Islamic account with this broker. If you open an Integrated Investment Account, you can trade a wide range of assets that are listed on more than 120 exchanges around the world. For example, you can trade stocks, foreign exchange, metals, futures and options, funds, ETFs, structured products and bonds through this broker. Trading platforms include its Trader Workstation (TWS) and Client Portal platform for novice traders, plus is IBKR WebTrader web-based platform. You can use the mobile app to access your account details on Android or iOS smartphones and tablets. You can also use its hands-free access add-on that operates with TWS, Client Portal and the IBKR app for mobile. You can also contact its customer service department via phone, email and live chat. Trading and investing in stocks from Malaysia can present an excellent opportunity to participate in this emerging market that includes an active Islamic investment sector for faith-based investors observing Shariah law.